Tim Burton: Dark, Fantasy, Creepy, Playful. Woody Allen: Comedy, Absurd, Ensemble, Romance. Martin Scorsese: Mafia, Voice Over, New York, Fast Cuts. This “personal style” is what makes their films easily recognizable. You could watch an Almodovar film and immediately know who the director is. Perhaps, the main advantage, is satisfying their fan’s expectations. Watching your favorite director’s next film is like watching the sequel of a popular franchise. You have expectations. You enjoyed their previous work and you want to see more. After all, fans would be very disappointed if the next Star Wars flick would be based in the Wild West. Likewise, fans would be very disappointed if Michael Bay’s next blockbuster was a rom-com. But the question arises: Is being an “Auteur” simply sticking to one style and never making anything too “different”? 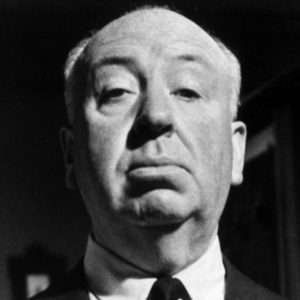 Alfred Hitchcock once said “Self-plagiarism is style”. He, a world-recognized Auteur filmmaker, was on to something. However, this doesn’t mean “self-plagiarism” is laziness. These Auteurs don’t earn the title by making the same exact film over and over. In fact, they must prove their worth by repeatedly reinventing themselves. It’s the art of making something new but doing the same thing. It’s as hard as making a good sequel, over and over again. Of course, we do have directors like Alfonso Cuaron or James Cameron who have made a name for themselves with movies that are very distant from each other in theme and genre. But these seem to arise from massive box office successes or having won numerous Oscars. When it comes to indie filmmakers, it seems like very few are able to create a following without a persistent style. What are your favorite directors? Do they usually have a recurring style? Let us know what you think.